You have lots to take care of when running a website, so it comes as no surprise that your focus on matters such as SEO can become a bit fuzzy after some time. After all, you have to worry about content creation, content optimization, page creation, advertising, and design: who needs another item on their plate? 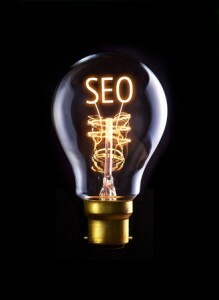 Unfortunately, SEO cannot be ignored lest you want the remainder of your efforts to be in vain. How can we be engaged with SEO on a regular basis – and in a way that isn’t totally overwhelming and technical? We’ll discuss three strategies that involve consistent action below, all of which will streamline your SEO efforts and ensure you are doing as is needed. As it turns out, SEO is moving in the direction that most of us would like to see; this means that great content is increasingly become more important and identifiable by search engines. Whenever your website lacks new content, however, the quality of your content becomes less and less relevant. Pinging search engines with a constant offering of content is one of the best ways you can consistently be improving the SEO of your website. Many people create a separate blog section for their otherwise static websites to ensure that content is routinely distributed. Depending on your niche, you may find it easy or difficult to adhere to this principle. The more links and the more posts you create for your website, however, the more long-term SEO benefit is generated for your domain. While it is possible that keywords will one day hold no intrinsic value when it comes to purposeful insertion, today’s world of SEO still revolves around them. People will search for what they want, and search engines do best in connecting people to what they want by finding websites that have good traffic, great metrics and an assortment of the keywords the user requested. You can spend as little as five minutes per day brainstorming new keyword combinations and writing them down. Don’t have enough time to do keyword research every day? Then create larger lists and spend some time every week or month evaluating the keywords’ performances in search. While some keywords are time-sensitive, you will likely find many keyword combinations with this tactic for future use. The last consistent strategy you can use to improve SEO is using social media and other mediums to boost your branding awareness. Many websites fail to catch on with customers and clients due to a lack of originality, or a lack of brand recognition. Many websites report that their loyal followers have a connection to the brand, but that doesn’t just develop overnight. Brand recognition requires multiple strategies and angles, including social media, proper design and marketing. As your brand gains traction in these mediums, more and more visitors will specifically search for you when looking for products, services or information. This in turn will strengthen your search engine presence, as the pinging of search engines with your name on a consistent basis will improve your rankings over time.